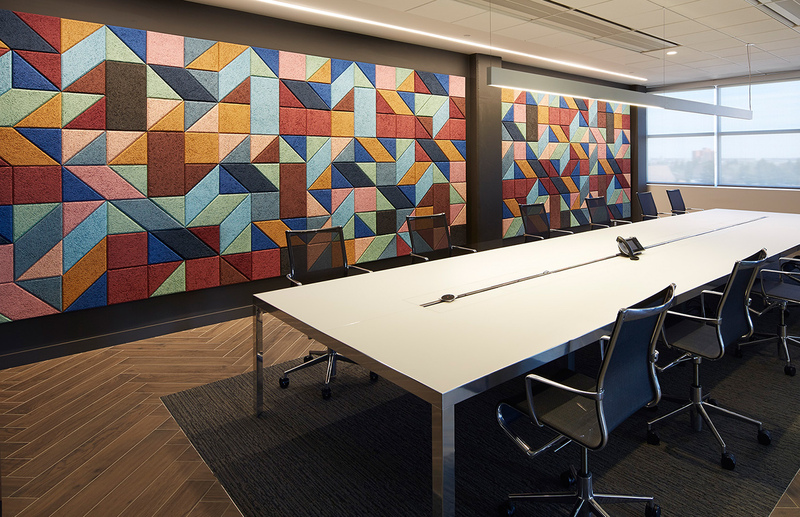 We interviewed Caleb Salomons, Architect/Designer at Jerilyn Wright & Associates on how to create an inspirational meeting environment. We asked him about the BAUX design at OPUS Corporation, Calgary. What was the idea for this space? Calgary is home to a number of energy companies who have their headquarters here. Opus wanted something a little different, less corporate and more comfortable for their clients – something that reflected their business interests in construction and property development. Where did the idea for the BAUX design come from? It’s a contemporary but comfortable space with residential features like a double-sided fireplace, a decorative detailing and a gracious lounge area. 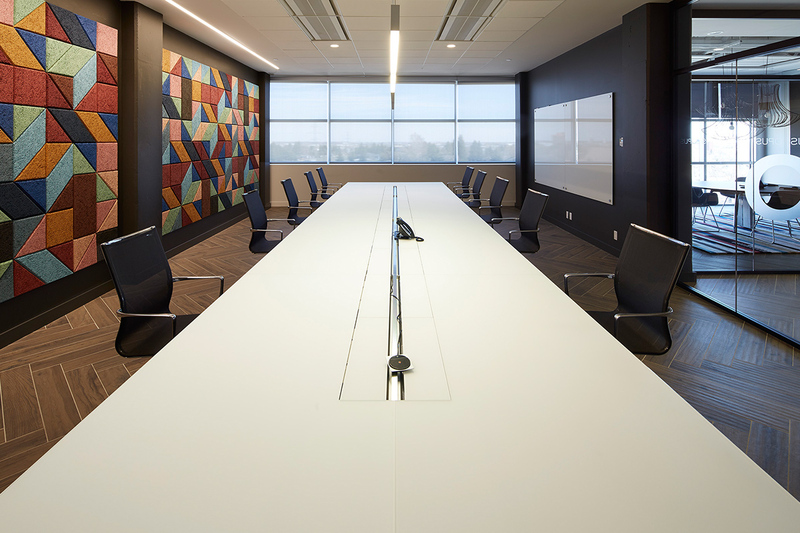 The main boardroom is visible throughout the client area and we wanted to create a surprise moment as you transition through the space. The colours and scale provide a talking point. As it’s visible from other parts of the building it transmits and acts as a focal point. The client loves the interactive quality. They like taking tiles off the wall and use them to start dialogue with guests. It fits well with their story and matches their environmentally friendly building credentials. It’s a great way to break the ice with new clients. Anyplace you can play with scale. It’s hard to find products that adapt well to large spaces. BAUX would be great on large walls or in buildings with multiple floor spaces.